Thank you for your interest in one of Buckeye Motor Sales's online offerings. 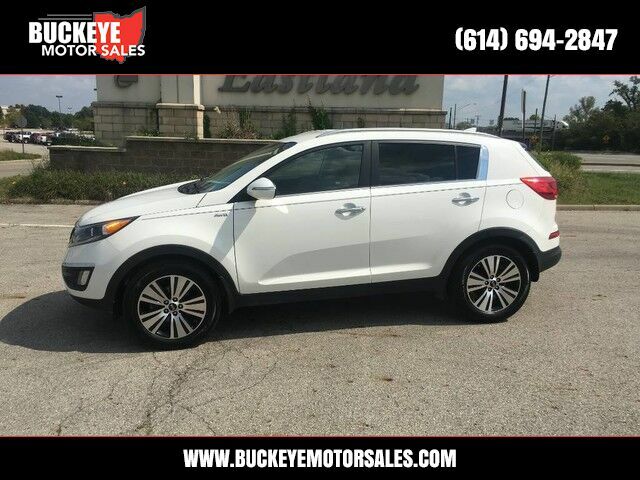 Please continue for more information regarding this 2015 Kia Sportage EX with 79,935mi. This vehicle is loaded with great features, plus it comes with the CARFAX BuyBack Guarantee. Why does this vehicle look so great? The CARFAX report shows it's only been owned by one owner. This SUV gives you versatility, style and comfort all in one vehicle. Once you see this Kia, you'll quickly see that this is the perfect vehicle for the outdoor junky! You'll even feel relaxed knowing that this All-Wheel drive vehicle will get you to where you are going no matter what may come your way. Also, with this Kia Sportage's dependable control you'll be able to drive into the sunset without a care in the world! Class defining, one-of-a-kind options are the standard with this Kia Sportage plus much, much more.